February might be cold outside, but it’s warm and welcoming at the movie theatre and we’ve got a seat for you! 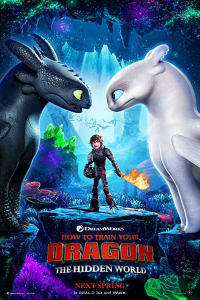 The second month of 2019 has movies we’ve waited years to see, like ALITA: BATTLE ANGEL and the third HOW TO TRAIN YOUR DRAGON film, not to mention THE LEGO MOVIE 2. There are freaky horror stories, a wild take on the romantic comedy and the newest film from one of the world’s great filmmakers. 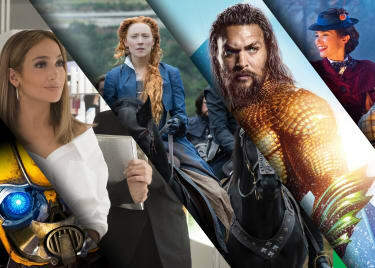 Here are the best new movies in February 2019. Think of CAST AWAY without water — or Federal Express. Mads Mikkelsen (ROGUE ONE: A STAR WARS STORY) plays Overgård, who is stranded in the Arctic after a plane crash. He thinks he’s about to go home, until the helicopter which might rescue him crashes, killing the pilot and leaving behind an injured young woman. Suddenly, Overgård’s troubles have doubled — he’s got to save himself and the newcomer, and her time is running out. 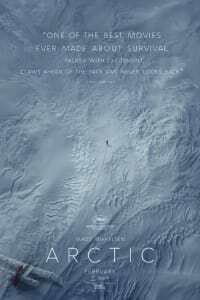 This survival story has almost no dialogue, but it does have an insanely determined performance from Mikkelsen and the sort of nail-biting suspense that only a truly frigid location shoot can provide. 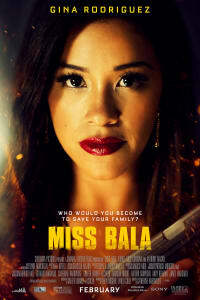 Gloria (Gina Rodriguez) heads down to Tijuana from Los Angeles to help a lifelong friend win a beauty pageant. But a night out at a club turns into a nightmare of gunfire and criminal violence, with Gloria at the center. 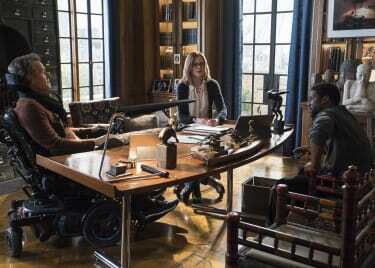 With her friend missing following the fight, Gloria is forced to cooperate with the very cartel members who shot up the club only days before. Caught between two ruthless forces, Gloria becomes a warrior who might be able to rescue her friend and a survivor who could possibly live through the ordeal. We don’t need Liam Neeson to prove his badass bonafides. He’s done that many times over. But we do love seeing him in action. 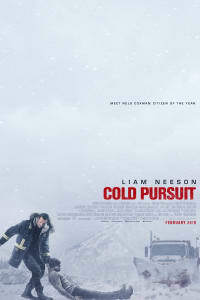 In this remake of the 2014 Norwegian film IN ORDER OF DISAPPEARANCE, Neeson plays a snowplow driver who is personally hit by the actions of a drug-dealing organization in the Rocky Mountains. His quest for vengeance seems fairly easy at first, but as soon as the cartel bosses know about his plan, things get hairy fast — especially when he has to contend with two gangs instead of one. 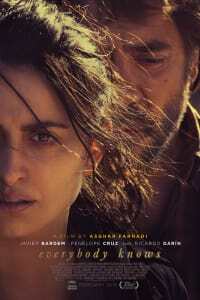 Acclaimed director and Oscar®-winner Asghar Farhadi directs Penélope Cruz and real-life husband Javier Bardem as a one-time couple who reunite when Laura (Cruz) returns to her hometown outside Madrid. She’s there for her sister’s wedding with her kids in tow, but her husband isn’t along for the ride. Is that because she knows she’ll see Paco (Bardem), with whom she had a well-known affair many years ago? Then, Laura’s daughter goes missing, setting off a chain of events that will bring long-hidden secrets and resentments out into the open. We return to Bricksburg to check in on the heroes from THE LEGO MOVIE and … everything is no longer awesome! 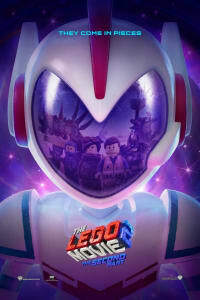 A new threat from space is taking Bricksburg apart piece by piece, and Emmet (Chris Pratt), Lucy (Elizabeth Banks) and Batman (Will Arnett) have to fly off to new worlds in order to save their home. A mother (Taylor Schilling) concerned about her young son’s disturbing behavior thinks something supernatural may be affecting him. Jackson Robert Scott, who played Georgie in IT, plays the possibly possessed boy, Miles. But is he actually possessed, or is Miles truly evil? Either way, his mom’s first instinct is to protect him, and it could end up being the last thing she does. 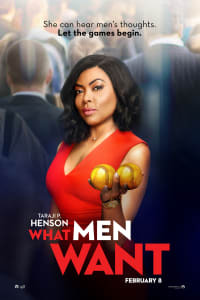 Taraji P. Henson plays successful sports agent Ali, who just wants to pass right through the glass ceiling to get to the next level at work. Things seem hopeless as promotions and deals are passed to dudes around her — and then, Ali wakes up with the ability to hear the thoughts of every man she meets. Suddenly, she understands a lot more (sometimes too much!) about what guys are thinking, and that becomes an advantage at work. But success doesn’t come without a price, and Ali has to figure out how to balance her new life with old friendships and the bloom of a potential romance. In a far-flung, post-apocalyptic future, a scientist finds the remains of cyborg Alita (Rosa Salazar from BIRD BOX) in a trash heap. He rebuilds the girl’s body, but her mind and memories have to come back on their own — and knowing there’s more to Alita, the helpful scientist tries to delay that process. 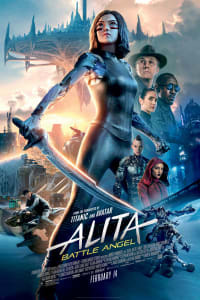 Alita’s extraordinary abilities begin to manifest regardless, along with glimmers of memory. She helps other people in her downtrodden part of the world, but that attracts the attention of corrupt forces that know precisely who and what the cyborg girl really is. Produced by James Cameron (AVATAR) and directed by Robert Rodriguez (SIN CITY). 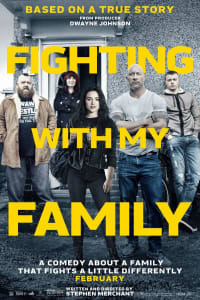 Rising British star Florence Pugh steps into the ring in this funny true story. She plays a fictionalized version of WWE wrestler Paige in Stephen Merchant’s comedy about a very unusual road to stardom. The daughter of two English wrestling personalities, Pugh’s character wants nothing more than to wrestle as part of the WWE. When she gets the call, it seems like the greatest day of her life — but then, she discovers that stardom isn’t so easy. Dwayne Johnson co-stars as a figure from the wrestling world every audience will remember: The Rock. Let’s do the time loop again! Jessica Rothe returns as “Tree” Gelbman. Two years ago, she was killed on her birthday, then woke up to relive her “death day” again … and again, and again. She broke the loop by finding the person who ended every repeated day by killing her. Now, she gets caught in a new closed circle of time. The upside: Tree is stronger and smarter thanks to her original ordeal, and this time she’s not alone in the loop. Problem is, her original killer is dead, which means she has to solve her own murder all over again. 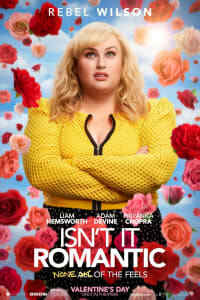 Rebel Wilson (PITCH PERFECT) plays Natalie, an architect who can’t get ahead. She’s constantly seen as a gopher rather than a go-getter. Then, things get much worse. She’s left unconscious after a mugging and wakes up to find her worst nightmare has come true: Somehow, she’s become the leading lady in a romantic comedy. Director Todd Strauss-Schulson previously turned the slasher movie inside out with THE FINAL GIRLS, and we expect ISN’T IT ROMANTIC to playfully pick at every rom-com cliché while also giving us the big, colorful musical set pieces we crave. Zach and Dave (Tanner Stine and Evan Hofer) have endured the loss of their family: Their mother passed away, and their father walked out on them. 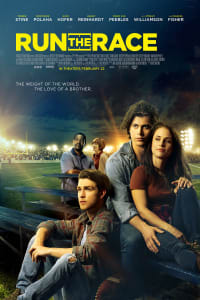 Now, all-star athlete Zach takes solace in football. He plays hard in hopes a college scholarship might help build a future for him and Dave. Then, the rising star is sidelined by a reckless, stupid injury, leaving Dave to lead the way into faith and the future for both young men. 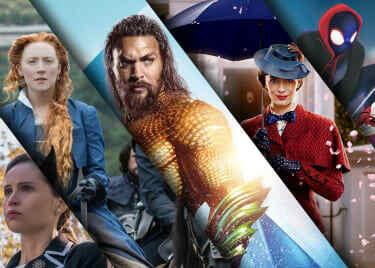 Check back with the AMC® Scene for info and tickets on these movies and more!